Biafra War Nigerian Movie (Season 3) - the drama continues! The saga continues in the Season 3 of Biafra War Nigerian Movie, now showing on Nigeria Movie Network. But before you continue with this episode, make sure to first watch Season 1 and Season 2 so you don't miss any part of this comic drama. The hilarious Nollywood movie stars Nkem Owoh (Osuofia), John Okafor (Mr Ibu), Ruth Kadiri, Kingsley Ogbonna, Emmanuel Okhakhu, Lin Joe. Watch, comment and share the movie with friends/followers on social networks! Brief summary of the storyline: "Retarded or not they must have their inheritance or prepare for war!" IBU play the character of a stammerer in this movie. Do you think he stammers better than Charles Awurum? Have your say! As always, kindly share your thoughts about this movie on Nigeria Movie Network (NMN) after watching. 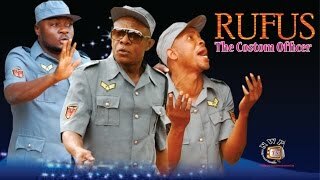 You can also start a discussion about this movie on Nollywood Community!